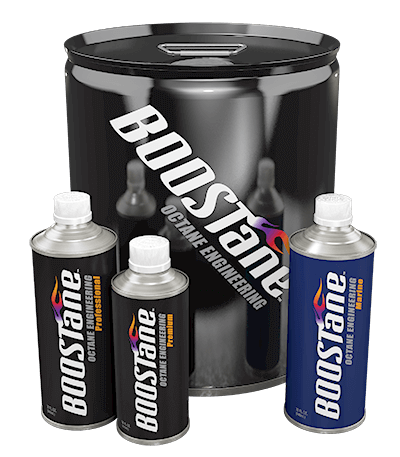 BOOSTane Premium is formulated to increase octane levels up to 100. Meant for lower compression and two-stroke engines, this is a street-legal product designed for non-racing vehicles where higher-octane fuel is not available. 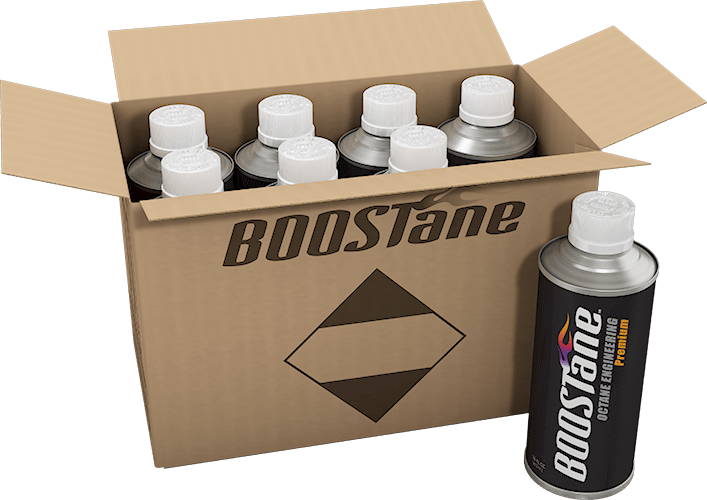 BOOSTane Premium is there for your peace of mind. With engines getting more and more horsepower out of smaller and smaller engines, we are becoming increasingly susceptible to the harmful side effects of poor or inadequate fuel quality. Whether you are in an area that only has low grade fuel, or you have a vehicle that is susceptible to the harmful side effects of ethanol supplementation (E10), there needs to be a solution. BOOSTane Premium is just that. Harnessing that same innovative, proprietary carrier that BOOSTane built its name on, Premium’s formula focuses around fuel restoration and sustainability. Premium is for the person who knows that their Hot Rod was designed around leaded fuel, and needs a little more than what is at the gas station. Or the luxury sports car owner that lives in an area that only has 91 octane, and during the summer needs a few more octane points to protect itself from knocking or loss of performance. Either way, BOOSTane Premium gives those customers the effectiveness, convenience, and of course, peace of mind that their vehicle is safe at every fill up! Works in all internal combustion engines, from Hot Rods and Classics to luxury automotive and high performance. Convenient portable size for motorcycles, UTVs, ATVs, side by sides, and dirt bikes. 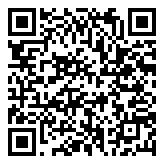 Will raise your effective octane fuel number 8 octane numbers!